Wow! We're already on the eighth set of blocks for the Patchwork Quilt Along with the Fat Quarter Shop! 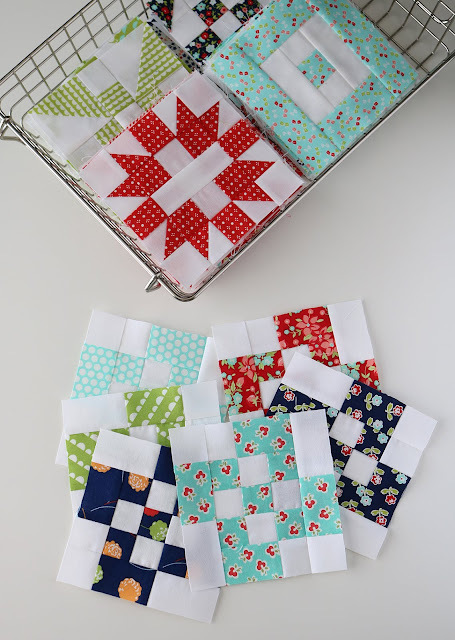 Just four more sets until we can start putting our quilt top together. 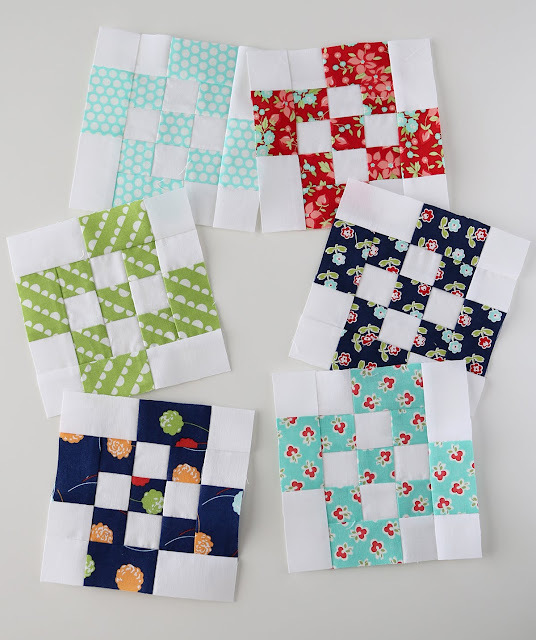 This month's block pattern is called Rolling Nine Patch, and you can find a link to the free pattern here on the Jolly Jabber Blog (scroll down to find the Rolling Nine Patch block). I started storing my blocks in these stackable wire baskets from the Container Store. I was finding that the more I moved, arranged and touched the blocks the more they were fraying. This way my finished blocks can stay in the basket all safe and sound until it's time to piece the quilt top. 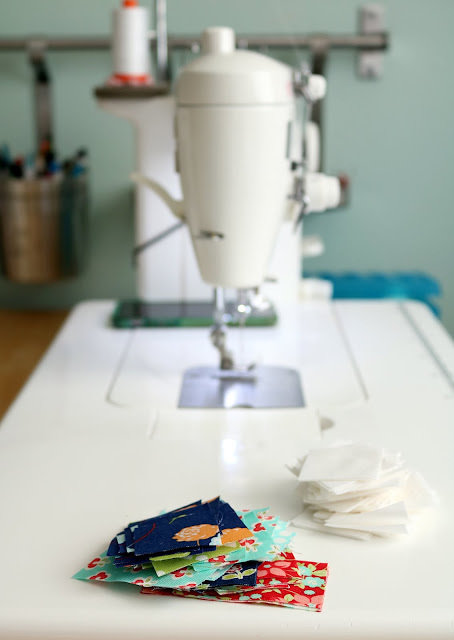 The list of bloggers who are sewing along is below, and you can also see what quilters from around the world are making in the Patchwork QAL Facebook group. I'm so glad there's a place for everyone to add photos of their blocks, and ask and answer questions! I love this quilt block, simple yet fun! I love your blocks! Is that a mixture of Bonnie and Camille? 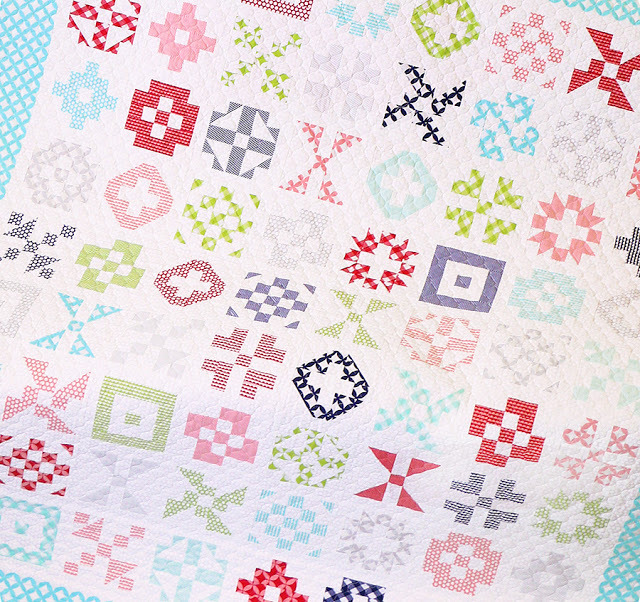 Loved this quilt. Each and every design on the blocks is so beautiful. It makes the final piece look so super great. Thumbs up! I love this. I am going to make this one. So adorable. I might even make a few smaller and bigger. That would be fun. Thank you for sharing your creativity and skills.